Price, D. N. and J. 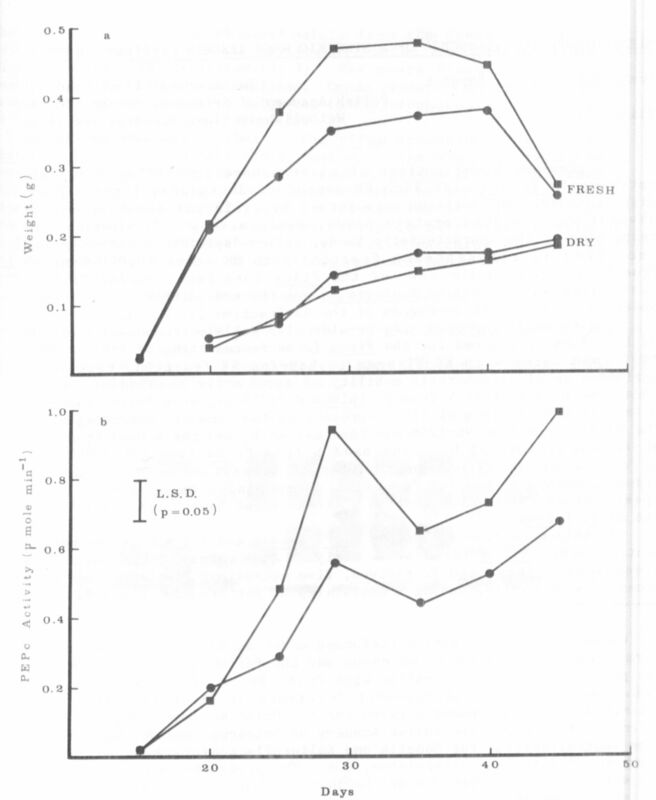 B. Taffs Plymouth Polytechnic, Devon, U.K.
two lines nor to differential effects of any interfering enzymes. activities is a real expression of the round vs. wrinkled phenotypes. levels are also likely to support increased respiratory activity. explanation for the increased activity observed in these r/r cotyledons. 1. Price, D. N. and C. L. Hedley. 1980. Ann. Bot. 45:283-294. 2. Kooistra, E. 1962. Euphytica 11:357-373. R/R (•) and r/r (■) cotyledons.